GDI leak (or, simply the usage of too many GDI objects) is one of the most common problems. It eventually causes rendering problems, errors, and/or performance problems. The article describes how we debug this problem. ASP.NET Core 1.0. Platform. Part 2. ASP.NET Today or what to choose? Many of us (including myself) have been waiting for the final version of .NET Core and ASP.NET Core. Now the wait is over – a couple of months ago the RTM version of the web app development technology named ASP.NET Core 1.0, has been released. Just a reminder: in early 2016 it was branded as ASP.NET 5. All new features of the new version of the Microsoft.NET platform have been described in general terms. In this article and subsequent articles, you will learn what else can be done with the latest .Net platform. I will also provide a broad description of the web development technologies that Microsoft offers today. To see what is available at the moment, we can just open Visual Studio 2015 Update 3 with the latest version of ASP.NET and Web Tools (VS2015Tools.Preview2.0.1). The question is: “Microsoft ASP.NET vNext: evolution or revolution?“, the absolute answer is revolution. In this series of articles, I will try to describe in detail the latest technology for creating web applications, namely – ASP.NET vNext, which initially had the official name ASP.NET 5 and later was renamed to ASP.NET Core 1.0. There will be another series devoted to the development of a real application with examples describing the practical use of this technology. Autumn of 2016 was full of events from Microsoft dedicated to analytics. In practice, the company began aggressive promotion of its predictive analytics and BI platform in the cloud. Finally, it has happened – Microsoft has released the preview of Azure SSAS Tabular. In fact, the company has transferred SSAS Tabular to the cloud. 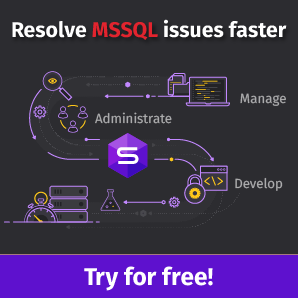 Therefore, SQL Server Analysis Enterprise Edition in cloud supports DirectQuery, partitions, row-level security, bi-directional relationships, and has compatibility level 1200.